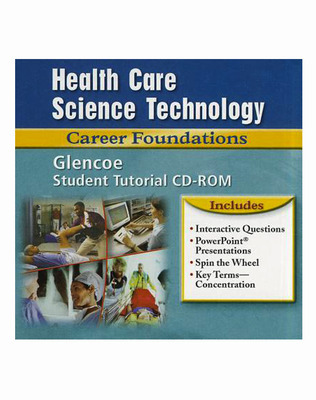 Glencoe's Health Care Science Technology: Career Foundations is written to address the National Health Care Skills Standards. It covers general skills such as teamwork and communication, as well as skills required for specific jobs within the career pathways. This text helps your students build a solid foundation for success, no matter which health care career they choose! Procedures are fully illustrated and broken down into Preprocedure, Procedure, Postprocedure, and Practice sections so students can get hands-on experience. 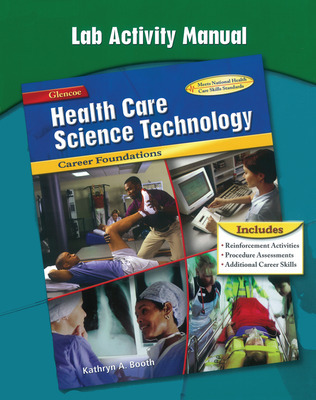 Link to the Past helps students explore the history of health care so they can have an understanding of how technology, procedures, and treatments have evolved over time. Look to the Future offers an in-depth look at some of the latest technologies and methodologies being developed. Safety highlights the necessary, easy-to-learn facts that help students follow proper safety procedures on the job. 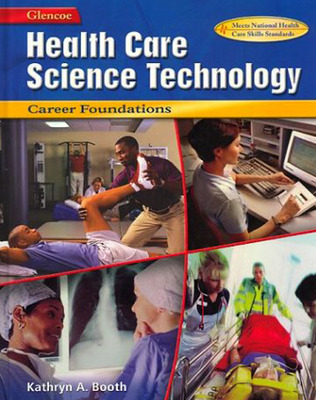 Cross-Curricular Connections help students understand the relationship of Math, Science, and Communication to their success as health care workers.